They're back!!!! After being waylaid by technical problems (the laptop literally ate the episode...twice), Caroline and Adrienne are back to finish up the tale of Paris Singer and his marital woes. We'll also wrap up Addison Mizner's architectural glories and discuss what our new side hustle should be. Hint: it's not another podcast. 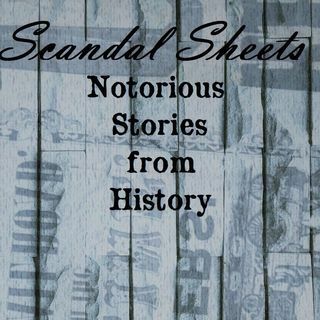 Visit Scandal Sheets on Facebook and Instagram (@scandalsheetspod) and our ... See More website, www.scandalsheetspod.com. Enjoyed the show? Don't forget to subscribe, rate and review us at Apple Podcasts, Stitcher, TuneIn, iHeartRadio.... and pretty much wherever you get your podcasts. Thank you for your support!